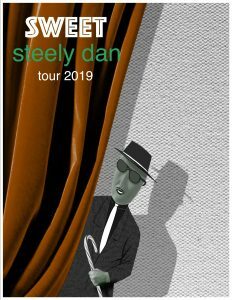 UNCASVILLE, CT (April 15, 2019) – Rock and Roll Hall of Fame inductee, Steely Dan, returns to the Mohegan Sun Arena stage on Saturday, November 2nd at 8:00pm with the Sweet Tour. 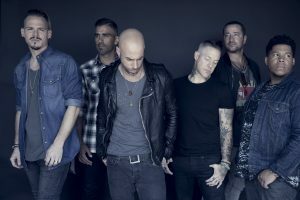 UNCASVILLE, CT (April 15, 2019) – Rock band, Daughtry, takes the Mohegan Sun Arena stage on Saturday, August 24th at 7:30pm. Releasing five studio albums, scored four #1 hits, and garnered 4 Grammy nominations, Daughtry brings their CT fans a night a fun! 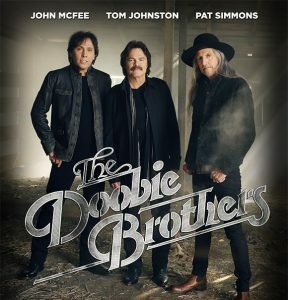 UNCASVILLE, CT (July 24, 2018) – Critically – acclaimed Rock band The Doobie Brothers, known for their harmony – laden, guitar – driven Rock and Roll set, announced today 13 additional headline tour dates for 2018. The Live Nation promoted shows kick off October 9th in Milwaukee, Wisconsin and visit Mohegan Sun Arena on Sunday, November 11th! 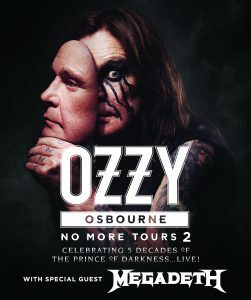 he Who, one of Rock’s legendary and defining bands, are hitting the road this summer and will be making their way to Connecticut for a live performance at Mohegan Sun Arena on Thursday, July 20th. The show will begin at 8:00pm. Fans can expect the band to take them on an ‘Amazing Journey’ through their entire career from the days of The High Numbers to classic albums such as Who’s Next, Tommy, Quadrophenia, My Generation and Live At The Leads up to the present day. Don Henley will tour Europe and North America this summer beginning June 20th in Stockholm, Sweden at Ericsson Globe, with dates scheduled through September 21st. Henley will play Mohegan Sun Arena on Saturday, September 17th for a 7:30pm concert. The artist will perform songs spanning his entire career from the Eagles and his vast solo catalog, including songs from his latest release, Cass County. As Tom Scholz wrote in the Rock anthem on the BOSTON album Don’t Look Back, "It’s a Party, Party, Party!" Indeed, the 40th anniversary BOSTON tour promises to be a celebration honoring the group’s loyal fans. Many of them have supported BOSTON since 1976 when the debut album, Boston first hit the airwaves and took Rock radio by storm, so it’s not surprising to see concert audiences that span generations. The tour heads to Mohegan Sun Arena for a Thursday, August 11th concert, set for 7:30pm! It’s the beginning of THE END. It started nearly five decades ago with a crack of thunder, a distant bell ringing and then that monstrous riff that shook the Earth. The heaviest Rock sound ever heard. In that moment Heavy Metal was born, created by a young band from Birmingham, England barely out of their teens. Now it ENDS, the final tour by the greatest Metal band of all time, BLACK SABBATH. Ozzy Osbourne, Tony Iommi and Geezer Butler close the final chapter in the final volume of the incredible BLACK SABBATH story. BLACK SABBATH’s farewell tour, THE END, begins on January 20, 2016 and it promises to surpass all previous tours with their most mesmerizing production ever. Mohegan Sun Arena is excited to welcome back Sabbath for one last concert, set for 7:30pm on Saturday, August 27th! On September 18, 2015 Joe Walsh will launch his Fall solo tour that will carry on through October 17th. Mohegan Sun Arena will host Walsh for an 8:00pm show on Friday, October 16th. The tour also hits Ohio and Ontario, but primarily showcases dates on the eastern seaboard, with New York, New Jersey, Massachusetts, Pennsylvania, and North Carolina all set to welcome the Rock legend. 3 Doors Down has announced the band's Summer touring plans will feature a joint run with Seether for more than a dozen dates. Mohegan Sun Arena welcomes the co-headlining Rock tour for a Thursday, July 30th concert, set for 7:30pm. Prior to the tour, the band will be in the studio recording a new album with multi-platinum hit record producer Matt Wallace. 3 Doors Down singer Brad Arnold shares, "We're excited to be heading in to the studio with Matt to make a new 3 Doors Down record! We can't wait to get some of these new songs we've been playing live put to tape. This is shaping up to be our best album yet!"